Among the multiple approaches to be taken on an author as multifaceted and prolific as the recent Nobel Laureate Peruvian writer Mario Vargas Llosa, Guadalupe Martí-Peña has chosen to look at the novelist as an illusionist. She studies this land of fantasies and daydreams, that seemingly harmless battlefield where literature, theater, and painting contend and join together with the writer, the dreamer, and the illusionist to oust reality. 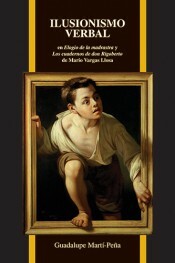 Focusing on Elogio de la madrastra and Los cuadernos de don Rigoberto, and the effect of illusion on the reading process, she argues that by referring to theatrical, pictorial, and mystical patterns Vargas Llosa entices us to experience, along with his characters, the unreal as real, the dream as reality, the magic of fiction as an empowering act. The book looks first at the theatricality and theatrics that enliven both texts. 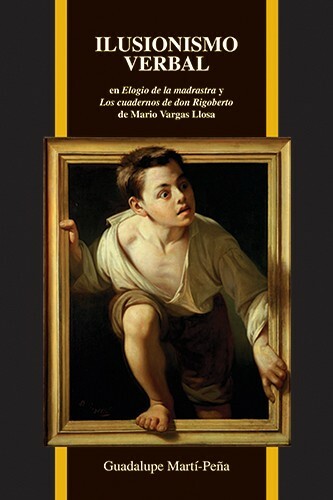 In the light of reader/spectator-response theories and theater semiotics, Martí-Peña shows how the novelist turns narrating into acting, fiction into performance, and reading into seeing. She next reflects upon the role that painting plays in the materialization of the characters’ desires and illusions. By funneling pictorial aesthetics through the prism of narration, and by engaging with theory concerned with issues of text-image interrelations, she examines the various functions paintings play within the linguistic system. Finally, she compares Rigoberto’s writing exercises to the writings of self-examination described by Michel Foucault in “L’écriture de soi.” Both texts encapsulate the main active ingredient in all of Vargas Llosa’s writings: that fiction is not a submission to life, but rather an insurrection against it. Verbal illusionism becomes the most efficient tactic to carry out such a rebellion. The text of this book is in Spanish.